In Part 3 (Fall 2005 Issue 5), we covered how to design our automated control system and the importance of documenting the design. We discussed the various types of documents that would be typical for an automated control system design, why and how we would use these documents, and finally the tools that can be used to create the documents. In Part 4, we will cover the steps needed to build, start up, and maintain our automated control system. The build section will include tips on the use of a subpanel, terminal blocks, grounding, shielded cable, etc. We will cover the steps to start up the system so that it is brought online in a safe and logical manner, and also give some suggestions for developing a plan to maintain the control system. As stated in the previous articles, special expertise is generally required to design, wire, install, and operate industrial automation control systems. Persons without such expertise or guidance should not attempt control systems, but should consider seeking the services of a qualified System Integrator. Control systems can fail and may result in situations that can cause serious injury to personnel or damage to equipment. The information provided in this series of articles is provided “as is” without a guarantee of any kind. During the design of our control panel, we pointed out the benefits of using a removable subpanel. In building the subpanel, it is best to secure the components from the front side. This will make it easier to replace any failed device or component in the future. We can also make installation and maintenance easier by using terminal blocks mounted to the subpanel that will connect to all external devices. This will allow the installing electrician to quickly dress and terminate the field wires. Another terminating method that has added benefits is to design our control panel with mating connectors so that the field wiring could be plugged into connectors mounted on the panel. The following guidelines provide general information on how to wire most automation equipment. For specific information on wiring a particular PLC or device refer to the installation manual for that device or PLC. • Each terminal connection can accept one 16 AWG ortwo 18 AWG size wires. Do not exceed this recommended capacity. • Always use a continuous length of wire. Do not splice wires to attain a needed length. • Use the shortest possible wire length. • Use wire trays for routing where possible. • Avoid running control wires near high energy wiring. • Avoid running input wiring close to output wiring where possible. • To minimize voltage drops when wires must run a long distance, consider using multiple wires for the return line. • Avoid running DC wiring in close proximity to AC wiring where possible. • Avoid creating sharp bends in the wires. • Install a powerline filter to reduce power surges and EMI/RFI noise. Warning: Providing a safe operating environment for personnel and equipment is your responsibility and should be a primary goal during system planning and installation. Automation systems can fail and may result in situations that can cause serious injury to personnel or damage to equipment. Do not rely on the automation system alone to provide a safe operating environment. Use external electro-mechanical devices, such as relays or limit switches that are independent of the automation equipment, to provide protection for any part of the system that may cause personal injury or damage. Warning: Every automation application is different. Therefore, there may be special requirements for your particular application. Be sure to follow all National, State, and local government requirements for the proper installation and use of your equipment. As we have stressed in previous articles, the best way to provide a safe operating environment is to make personnel and equipment safety part of the planning process. Examine every aspect of the system to determine which areas are critical to operator or machine safety. NEC2: The National Electrical Code provides regulations concerning the installation and use of various types of electrical equipment. Copies of the NEC Handbook can often be obtained from your local electrical equipment distributor or your local library. Local and State Agencies: Many local governments and state governments have additional requirements above and beyond those described in the NEC Handbook. Check with your local Electrical Inspector or Fire Marshall office for information. Why is grounding important? Electronic instrumentation such as PLCs and field I/O are typically surrounded by various types of electronic devices and wires. These electronic devices may include power supplies, input/output signals from other instrumentation, and even devices that are near the instrumentation enclosure. All these may present a risk of Electromagnetic Interference (EMI) or transient interference. This type of interference may cause erratic operation of components and cause failures. In addition to device interference, automation equipment and devices could be damaged by powerful line surges. These line surges may come from common voltage fluctuations from a power supply, lightning, or unintentional contact with a high voltage line. A power surge will cause a temporary failure, fuse burn-up, or even very serious damage to the equipment. Grounding provides a low impedance path that limits these voltages and stabilizes interference. Grounding is a must to protect your automation equipment and devices from serious damage, failures, and even potential risk to users. • Mounting: refers to the actual physical installation of each device, instrument or component to either the subpanel or other connected equipment. • Bonding: refers to the joining of metallic parts of a chassis such as; frames, shields, assemblies and enclosures. Joining or bonding these components properly reduces the interference from EMI and ground noise. • Grounding: refers to a connection to a grounding conductor to provide overload and interference protection. As mentioned before, grounding protects the instrumentation, devices, or components from power surges and reduces the effect of EMI and ground noise. Figure 1 (above) shows a typical method for grounding the subpanel to the enclosure cabinet to assure proper grounding. Note: Please remember that bonding and grounding are important safety requirements that are mandatory by local codes and regulations. The installer must verify the local codes to determine what grounding and bonding methods are permitted. Always make sure that power supplies are properly grounded to ensure elimination of electronic noise interference. Note: When using ground lugs and installing more than one on the same stud, make sure to install the first lug between two star washers and tie it with a nut. Install the second lug over the nut of the first lug followed by a star washer and another tightened nut. A shielded cable is an insulated cable consisting of strands of copper or other material enclosed with a metallic shield underneath a jacketed sheath. Shielded cables are used to reduce the interference from electrical noise. Some instrumentation requires the use of shielded cables for specific connections. When installing instrumentation, verify whether any connection requires a shielded cable. Failure to use the shielded cable will result in erratic readings or signals from the instrumentation. If the product being installed requires shielded cables, the grounding specifications provided by the manufacturer manual must be followed. Improper installation of shielded cables may cause a ground loop that will cause failure on a processor or would allow noise into the logic circuit. • Foil Shield: These cables consist of aluminum foil laminated to a polyester or polypropylene film. The film provides mechanical strength and additional insulation. The foil shield provides 100% cable coverage for electrostatic shielded protection. Foil shields are normally used for protection against capacitive (electric field) coupling where shielded coverage is more important than low DC resistance. • Braided Shield: These cables consist of groups of tinned, bare copper, or aluminum strands. One set is woven in a clockwise direction, then interwoven with another set in a counter-clockwise direction. Braided shields provide superior performance against diffusion coupling, where low DC resistance is important, and to a lesser extent, capacitive and inductive coupling. coupling and electrostatic discharge (ESD.) It combines the low resistance of braid with 100% coverage of foil shields and is one of the more commonly used types of shielded cable in today’s industry. Figure 2 (to the right) shows a typical cross sectional area of a shielded cable that makes use of combination shields. • Environmental specifications that cover the operating temperature, humidity, vibration, noise immunity, etc. • Power requirements are specific to each piece of equipment. When installing instrumentation always make sure to follow the manufacturer’s power requirement guidelines for your specific piece of equipment. • Use components with Agency Approvals such as UL, CE, etc. • Make enclosure selections based on component dimensions, recommended mounting clearances, heat dissipation and EMI. If installing a PLC base or chassis which consists mainly of mounting, bonding, and grounding, it is very critical to the proper operation of the PLC and its related devices and components to closely follow the manufacture’s recommendations. There are many cases of a PLC experiencing “noise” problems, when the problem is found to be that the base wasn’t grounded to the subpanel. The last item to consider at the completion of building your control system is to do a complete I/O checkout. This will assure that the point-to-point wiring between the I/O module terminals and the field wiring terminal blocks has been done correctly. To start, create a list with each I/O point shown and include any details of what criteria is being tested. It is also helpful to include a check box that can be used to check off each point after it is tested. Normally this list can be created from an I/O list or tag name list that was created when designing your PLC ladder logic or HMI operator interface. Include the test criteria for each point on the list. As an example, discrete input and output points would be listed as normally “off” and then checked for their “on” state. Analog points, both input and output, could be checked at different values. For example, if using a current input module, you may want to simulate 4 mA (low value), 12 mA (middle value) and 20 mA (high value). The actual testing normally requires a two-person team. One person uses a PC connected to the PLC to view the status of each point tested and to simulate outputs, and the other person physically applies a signal to inputs and monitors outputs with the use of an indicator on discrete outputs and a meter on analog outputs. The startup of our automated control system begins once we have installed our control system enclosure and auxiliary equipment, terminated all field wiring, and completed required testing. 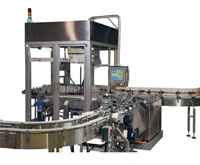 This process is also called “commissioning” the automated control system and related equipment/process. As a starting point, it is best to isolate the various sections of our control system power wiring by removing the fuses and/or opening circuit breakers. The best tool to use during commissioning is the schematic diagrams. We will want to start at the incoming power, and basically work our way through the entire schematic. Keep in mind that every control system will not be the same. Therefore, each system will require a different strategy to bring the equipment online safely. Consider having motors uncoupled from their respective loads, air pressure off, disabling hydraulics, and using Lockout/Tagout (LOTO) procedures. Measure voltages as you go. If using a PLC, connect a PC to it and monitor the ladder logic to make sure conditions, states, etc. are responding correctly. • Visually inspect for loose or frayed wiring, moisture in enclosure, etc. • Test all alarm systems, horns, sirens, etc. This wraps up the series of articles on automated control system specification, design and installation. We hope you have found this information useful. Look for a downloadable complete guide, with additional details, on our technical web site sometime in the near future. 1 Information for the National Electrical Manufacturer’s Association (NEMA) can be found at their Web site at: http://www.nema.org. NEMA is also being harmonized with the International Electrotechnical Commission (IEC) (Web site: www.iec.ch/) and other European standards. Additional information can be found at Global Engineering Documents’ Web site at:www.global.ihs.com. Global Engineering Documents is also the source for obtaining NEMA, IEC and CE documents. 2 The National Fire Protection Association (NFPA) produces the National Electrical Code (NEC), publication NFPA 70. Further information can be found at their Web site athttp://www.nfpa.org/. Another good reference from the NFPA is Electrical Standard Industrial Machinery, publication NFPA 79. 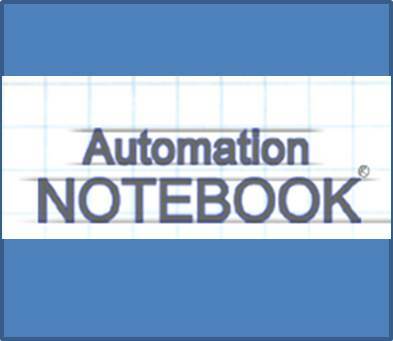 Ever Wonder How AutomationDirect Customers Are Applying Their Products?